Should your Mercedes-Benz vehicle be damaged in a collision, we want to help ensure that you have access to a repair facility that meets not only our high standards for workmanship, integrity and safety, but your standards as well. Take a moment to familiarize yourself the contents of this page. It can assist you with the police, your insurance company and your repairs. It also provides valid reasons why Mercedes-Benz Certified Collision Centers are recommended for your Mercedes-Benz collision repair. In the event of a collision, the following suggestions may assist you. Stop – no matter how minor the collision – in a safe, well-lit area. Mercedes-Benz Authorized Collision Repair Facility. 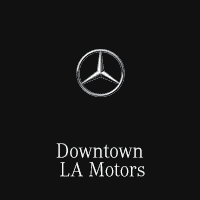 Eligible customers receive complimentary towing to the facility via Mercedes-Benz Roadside Assistance. Mercedes-Benz Genuine Parts for all repairs help maintain the original performance and integrity of your Mercedes-Benz. Limited warranty covers all Mercedes-Benz Genuine Parts. Mercedes-Benz trained repair technicians use factory-approved procedures that help produce safer repairs and get you back on the road in less time. These facilities have made extensive investments in Mercedes-Benz specified tooling to help ensure that their technical staff has the right tools for all repairs. Only Mercedes-Benz Approved Aluminum Repair Facilities are factory-authorized to repair Mercedes-Benz ASF® aluminum construction. Limited lifetime warranty on paint repairs through OEM paint suppliers. Whether you financed the purchase of your Mercedes-Benz or you are leasing it, collision insurance is required. This helps protect you and the finance company by helping to ensure sufficient funds are available to repair the vehicle in case of a collision. Certain consumer rights are included with the purchase of an automotive insurance policy. You may cancel or change insurance at any time. You don’t have to wait until your policy is up for renewal. While an insurer may recommend a repair facility, you have the right to decide where to have your Mercedes-Benz repaired, unless that right is limited by your insurance policy. Insist that your insurer and repair facility agree to the use of Mercedes-Benz Genuine Parts and Mercedes-Benz approved repair procedures to make all repairs. By choosing a Mercedes-Benz Certified Collision Center, you help ensure that the correct parts and procedures are used to repair your Mercedes-Benz.